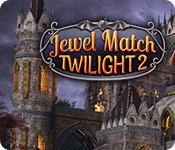 Jewel Match Twilight 2 is rated 4.3 out of 5 by 22. Rated 5 out of 5 by denniann2 from loved it!!! it is just like the other ones. you earn points to buy power ups and then fill up your strength to use them with manta bottles you find as you play. you gather coins in your treasure chests to collect your money. i do miss the jewels, though. they are not in this one and i like them the best. Rated 5 out of 5 by ninja226 from Halloween style castles I am a huge fan of the Jewel Match series. 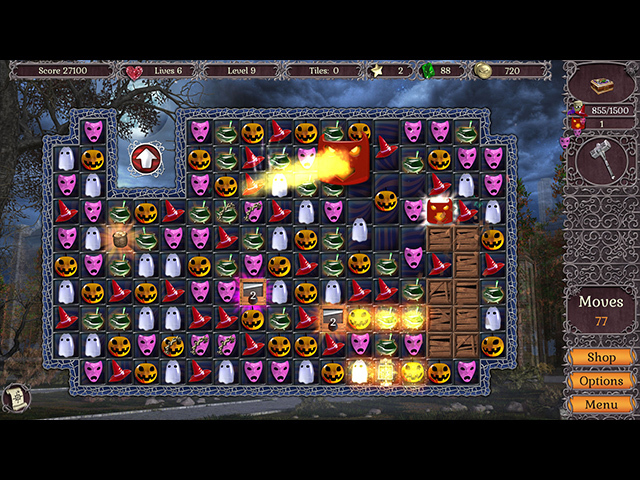 This game gets back to building castles Halloween style. The M3 main levels do not have multiple rooms to play, but in between the main levels are M3 to acquire emeralds and stars. 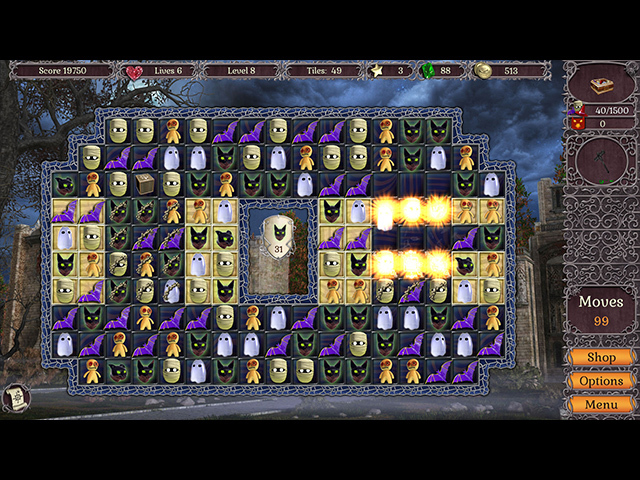 Stars allow you to buy the animated creatures (ghosts, bats, ravens) and statues that complete the scene. You have choice of playing in timed mode, move limited mode, and relaxed (no time or move limit). However, in between the main levels, there is a race the clock mode to acquire gold stars (pay attention to the map at bottom left to guide you in eliminating key gold tiles since you cannot manually move the M3 boards). The game is thoroughly enjoyable and the castles to build are gorgeous. Rated 5 out of 5 by dgeehring from Best Jewel Match Yet This is similar, but not the same. They used elements from former games but switched them up in fun new ways. Be careful, this game is more addictive than most as well. I found myself having to say "stop" so I could get other things done. One of my best purchases in a while. Rated 5 out of 5 by Kirioth from Great Game I have played most of the Jewel Match games and really enjoyed them including this one. Since it is a Halloween game, I do not understand why they have presents in the game. The other twilight did the same. Rated 5 out of 5 by HeavenBound7729 from What A Treat! And No Tricks! I absolutely love these Jewel Match games. They have everything imaginable to provide top quality fun. Match 3 and building are a perfect combination for me. Castles never interest me much in games, but Jewel Match takes them to a higher level of building enjoyment. Loving it! I don't mind that this one is Halloween themed, because the tiles are so colorful and have such cute icons. 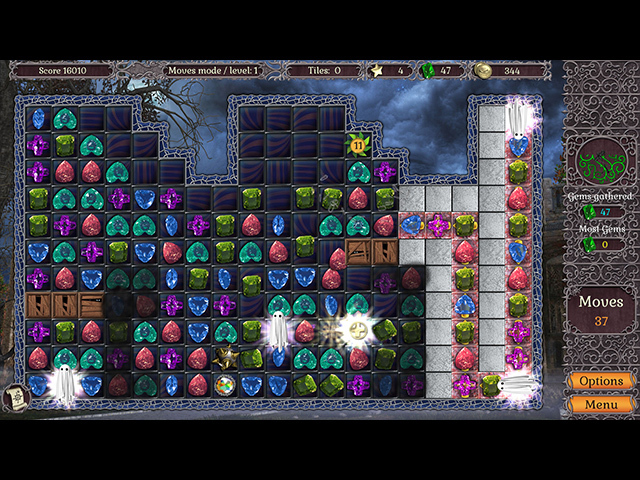 The game runs smoothly, has so many special features and extra goodies, like the jewel boards, puzzles, hidden objects. I love being able to replay the levels to better your score. Need to do that sometimes to gain access to other rooms and the puzzles. You can choose your preferred level of challenge, I always play Limited Moves. I love a not so easy Match 3 game, challenge makes it great fun. And good strategy really comes in handy. Right now I am all caught up in Naturescapes. Have been playing what seems forever and loving every minute. It has very colorful, pretty tiles and gorgeous scenes to create as a reward for your efforts. So much fun and relaxation! I hope more Jewel Match games are coming to Big Fish. They are worth every penny of the price and more than make up for the duds that we have all experienced. A terrific Match 3 rarely comes our way these days. Rated 5 out of 5 by pchy from Trick or Treat Halloween in January? I love it! Always a winner with Jewel Match games and this one doesn't let you down. Game play is great, graphics too. My only problem is I can't figure out how to get stars on the levels. Maybe I don't have something set right. Rated 5 out of 5 by mendillovictoria from JEWEL MATCH TWLIGHT 2 I LOVE THIS GAME , THERE SO MUCH TO DO AND PLENTY OF CHALLENGE.LOTS OF LEVELS, I ONLY HAVE ONE PROBLEM THIS CAME OUT ABOUT 8 MONTHS AGO I ALREADY PLAYED AND PURCHASE THE GAME.PLEASE START GIVING US THE GAMES EARLY, THANKS FOR GAME PLEASE COME OUT WITH 3 !!!!! Rated 5 out of 5 by tut12345 from Awesome as always I Love all the Jewel Match 3s I'm like a little kid at Christmas time when I see a New Jewel Match come out. So awesome fun and Love the scenery and music. Thank You so much!